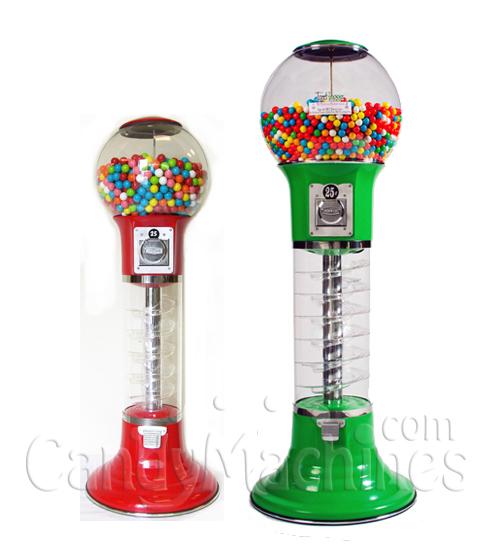 Our most popular 5-foot (last photo shows size comparison with the 4-ft version) model machine has a track that allows gumballs to go round and round and come out of the covered dispensing chute that holds the gumball at the bottom. Fun for kids! Made in USA. Replacement parts easily available. Lifetime Warranty on Beaver coin mechanism against manufacturer defects under normal working conditions and ordinary wear and tear. 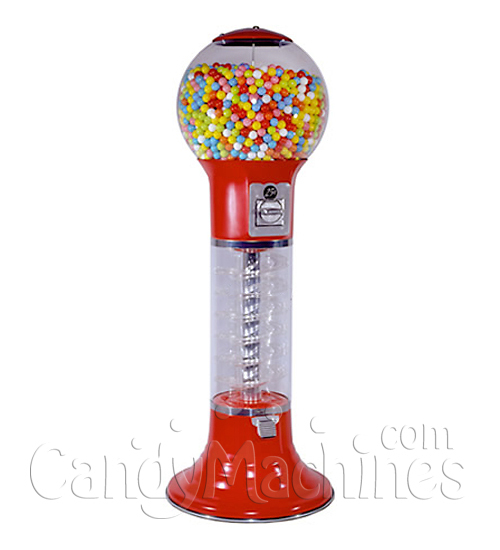 Vends 700-count, 850-count or 1080-count gumballs. Optional wheels available to vend 22-23 mm (1430 count) or 30 mm (600 count) products at no additional charge. 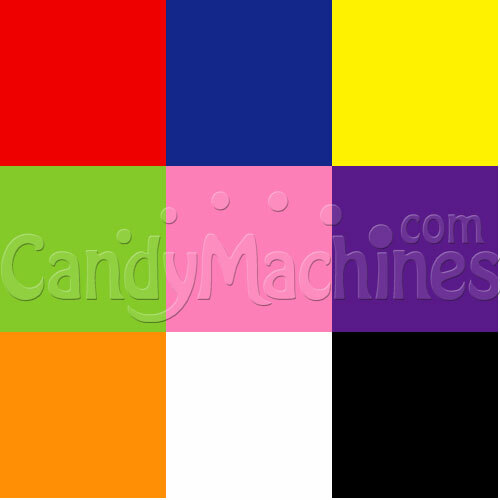 I got this machine in purple and its the prettiest vending machine we have now. 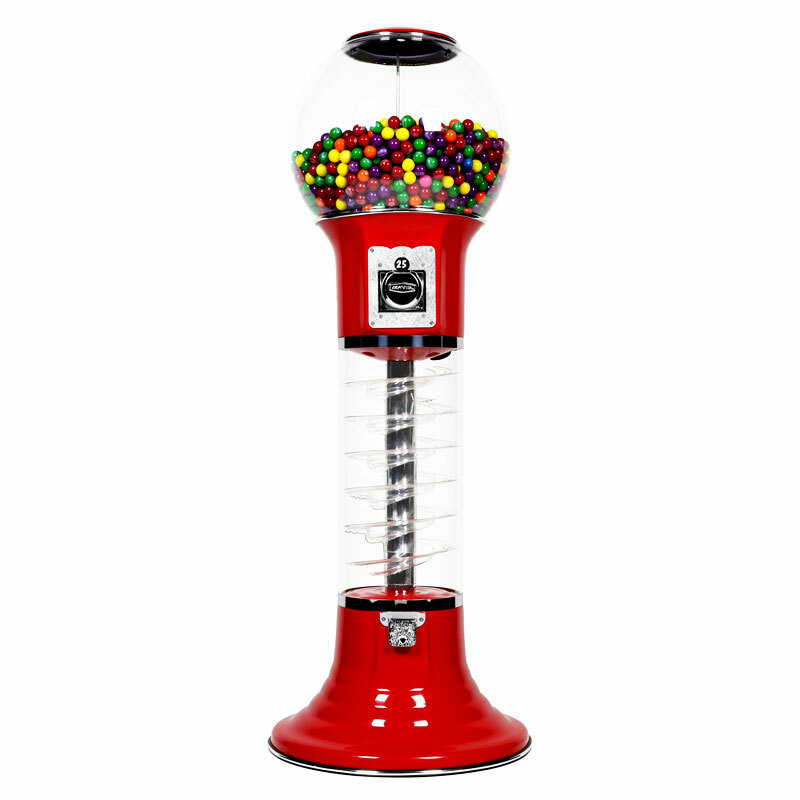 The colors of all the gumballs make the purple really pop!